Whether you’re looking to enjoy a fresh, summery salad overlooking the expansive green moorland, or delve into a bowl of cheesy chips looking out to sea, Cornwall has many alfresco dining options with unique views to impress all visitors. 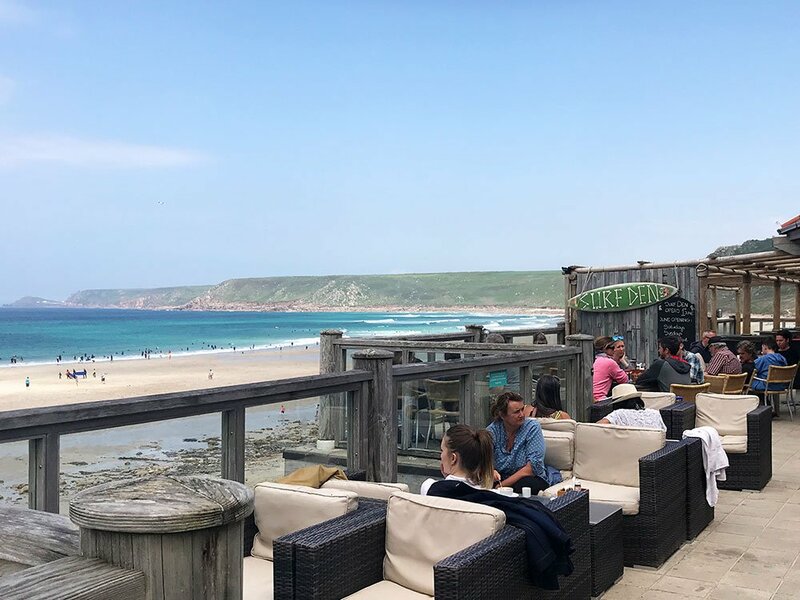 Also known as the Surf Beach Bar, this is the best place to enjoy the incredible views of Sennen – if you can drag yourselves out of the water that is! 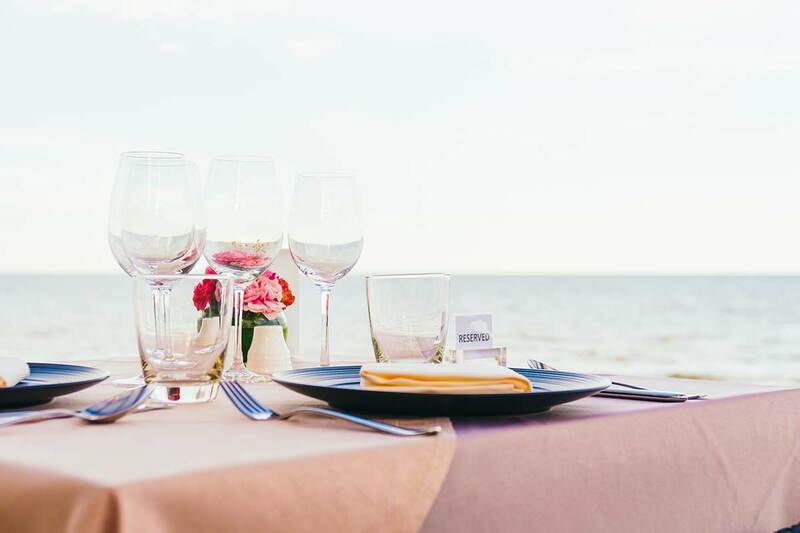 There’s outdoor dining right on the beach, with live music, a family-friendly atmosphere and a simple menu featuring quality seafood and local produce. Known as Cornwall’s most famous smugglers inn thanks to the book by Daphne du Maurier. Located high up in the middle of Bodmin Moor, The Jamaica Inn enjoys panoramic views of the rugged landscape that feature in this part of Cornwall - the perfect place to enjoy traditional pub food in the fresh Cornish air. A fresh, seasonal menu at the Gurnard’s Head changes daily according to what local produce turns up on the chef’s doorstep. There’s a large enclosed garden here for those beautiful summer days where dining al fresco calls, and a spectacular view over an awe-inspiring landscape – inland across the moors, and seaward overlooking the actual Gurnard’s Head. The pub is just a short drive from popular Cornish attractions such as the Minack Theatre. The Hidden Hut is a unique Cornish dining experience that is not to be missed. Add to that the fact that you will basically be sitting in the dunes looking out across the sand and the clear blue sea of Porthcurnick beach, then this is one of the ultimate dining alfresco sites in Cornwall with a view. 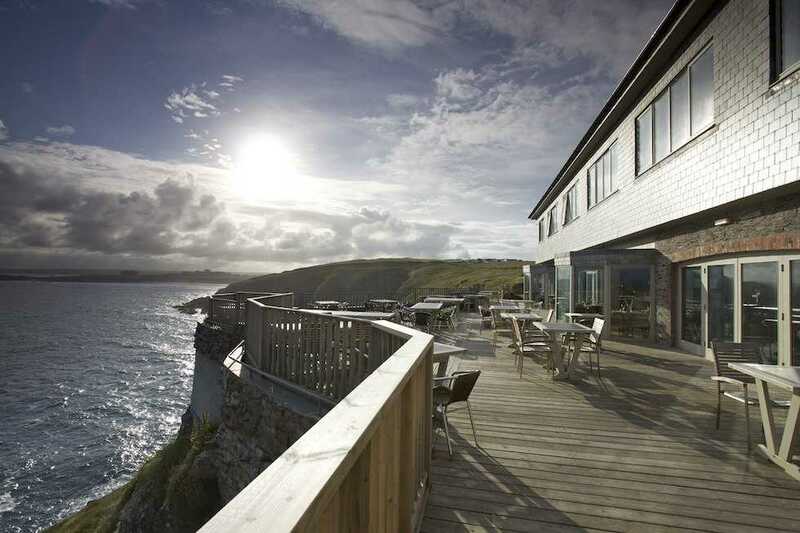 Settled on Pentire headland overlooking Newquay’s Fistral beach, Lewinnick Lodge commands one of the best coastal dining views in Cornwall. The restaurant has a modern and contemporary vibe serving excellent food, and the large terrace is the perfect spot to enjoy an evening meal as the sunset turns the seascape golden. This traditional 17th century Cornish pub is located on the banks of the river Tamar, with a menu incorporating all the tastes of Cornwall using locally sourced produce. 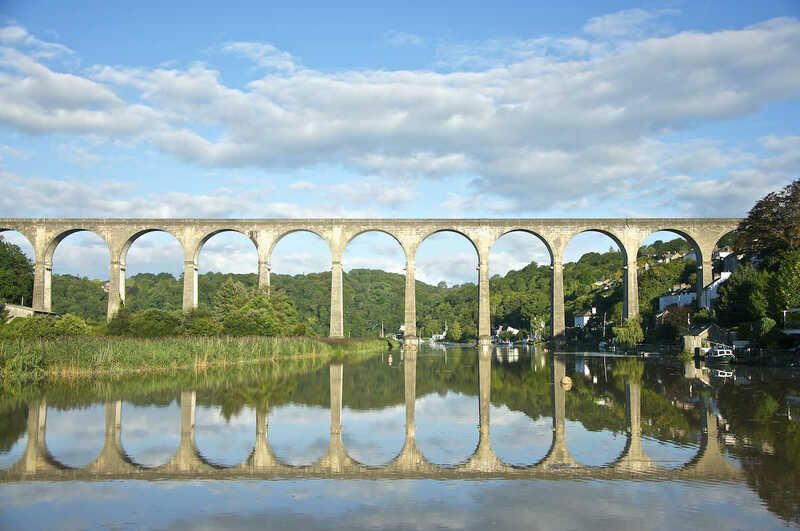 The Tamar Inn keeps that traditional ‘pub grub’ atmosphere with a unique twist, and food can also be enjoyed on the water’s edge against the backdrop of the imposing viaduct which spans the Cornish border. The Rock Inn boasts a large balcony area set high enough above the Camel Estuary that you can see all the way across Rock beach, over the river towards the popular fishing port of Padstow and out to the Doom Bar. This relaxed establishment serves a great selection of modern pub-style food to enjoy while you watch the speed boats and sailers navigating their way around the river camel, with a fretting glass of Cornish cider of course. If you would like to come to Cornwall and try all of our culinary delights, we have an extensive range of Cornish cottages available throughout the year.